“Different strokes for different folks” – so goes the American adage of the mid 1960s. BMW has caught on and fully embraced this concept by unveiling not one, but three new 3 series sedans. Yes, they are overwhelmingly similar and ultimately share the same bones, but when you drive each variant back-to-back, you leave each car with distinctively different impressions. 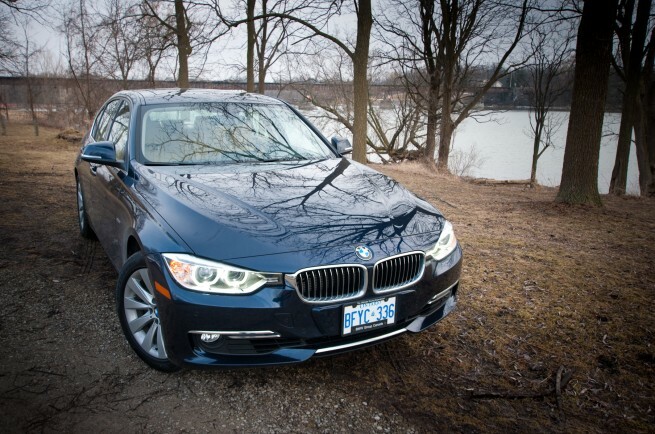 The variants I’m referring to are the 3 series “Sport,” “Luxury” and “Modern” lines. The lines are somewhat self explanatory but we’ll cover them each briefly. The sport line (driven on the road here and the track here and here) focuses on the fun factor behind the wheel with a “Sport +” setting that stiffens the dampers, tightens and adds weight to the steering, throws the 8-speed sport-auto in fight mode (if you were too lazy to order the manual or lost the thumb war to your significant other), and increases the aggression of the right-most pedal. We’ve driven it on a proper Formula 1 track: the Circuit de Catalunya in Spain, and we were impressed with its pace – though if we were to rub the magic M genie bottle and Dr. Nitschke appeared, we would ask for square tire sizes at each corner (to reduce understeer) and stickier tires while we’re at it, more NVH through the steering wheel (previously called “steering feel”) and a factory installed LSD. That would be sporty, and that pretty much describes the specification list on a 1980s 325iS, save for the sticky tires – tires back then did not grip much. The luxury line is the car we are considering for this review, and it dispenses with the sport model’s handling, the modern line’s sweet trim option, and fills in the gaps with heaps of comfort and serenity. It is the Mercedes of BMW. That’s right, I said it. It feels a bit more like a C class than any previous 3 series, but this is not a failure on BMW’s behalf depending on how you look at it. You see, not everyone wants to tear around a racetrack at unGodly speeds whilst having innocent, unsuspecting insects spread the length of the hood. 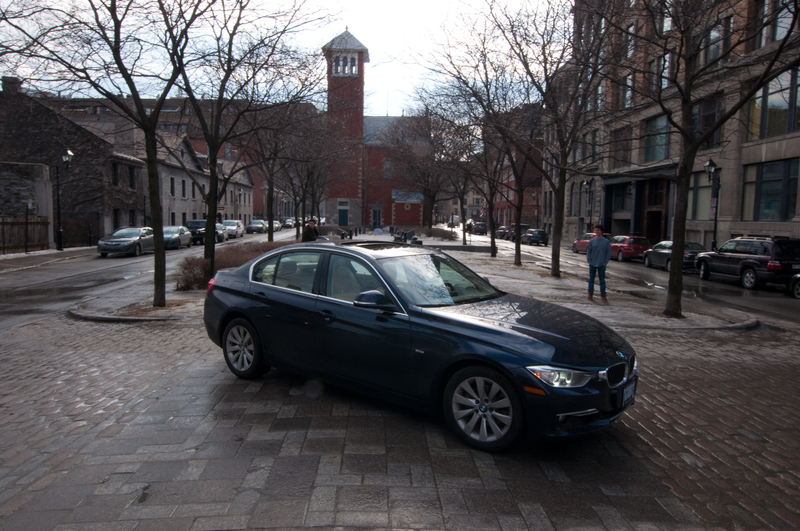 Some folks prefer a quiet, comfortable ride with the solidity and quality of a BMW beneath them. To this end, the new luxury line is a smashing success, because it delivers on the needs and wants of a large percentage of the market. If BMW wanted to build a raging lunatic 3 series, they would. It’s called the M3, and it’s coming soon. Not soon enough, mind you. The perfect weight distribution, rear wheel drive, and tossible handling are still there, but the luxury line buyer appreciates them for their inherent safety advantages – not for their visceral experience advantages. For once, I got in a 3 series and did not have the incessant urge to throw the car into a lurid slide while rounding a corner. Somewhat embarrassingly, the first drive mode I’d jump to when fresh behind the wheel was EcoPro mode. Saving fuel in this car is exciting. And when you can muster 46 mpg (5.1 liters/100 km) on the highway, it’s also impressive. So, are you sporty, modern or, umm… luxury? Built for comfort not for speed? This saying has less friendly contexts but in the case of the 3 series, it well describes the impression the car leaves you with behind the wheel. If luxury is what you’re after, then the new 328i Luxury edition will not disappoint. Not only does it feel luxurious, it feels borderline lavish. 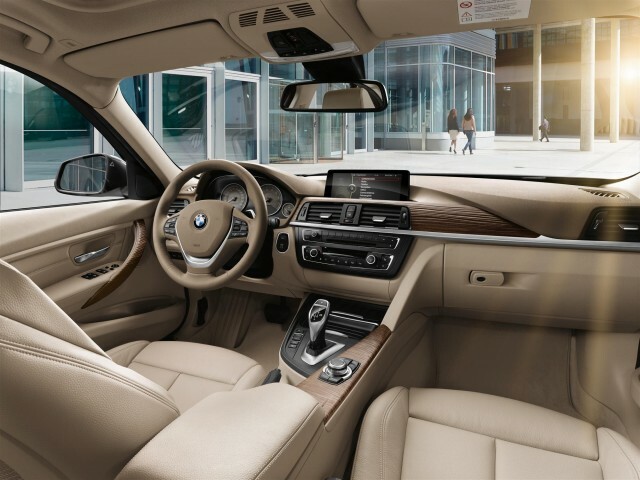 The interior feels as though it was lifted from the 5 series – or maybe even 7 series – and its pacific road demeanor will keep you rested and relaxed. All of the tech goodies are there should you order them, from high fidelity Harman Kardon sound to lane departure warning. But the soul of this car is in its leather. It’s in the way it glides over the pavement without translating bumps into the cabin. 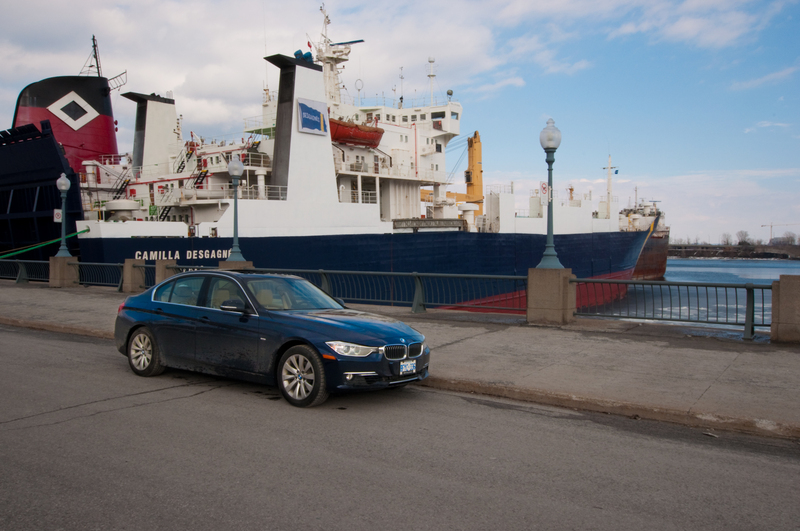 The luxury line makes this relatively lightweight 3 series feel at least 1000 lbs heavier – and that’s a compliment in this context because a heavy car is generally a comfortable riding car. The added weight allows the tires, springs and dampers to take up the kinetic energy of the wheels as they smash over bumps instead of translating this movement into the chassis. With the sunroof open and the brilliant sound system bumping, I have to admit I thoroughly enjoyed the long interprovincial drive from Toronto to Montreal and back. This car covered miles like they were going out of style and always kept us relaxed and at ease. More than any previous 3 series, it felt impervious to the rumbling trucks and angry jack-hammers surrounding. To put it in the most colorful analogy possible: if I was to buy a new 3 series for my parents, it would be the 328i Luxury edition. They currently drive a Lexus and switching cars, they would not feel as though they’ve lost any luxury or comfort. They would however notice a massive improvement in fuel economy – something they would also appreciate. BMW’s 328i employ’s the brand’s “N20” internal designation 2.0 liter, turbocharged 4 cylinder engine. “Four cylinder!” you say, “how could that possibly be luxurious? !” To get a bit technical, BMW have used dual balancing shafts and a dual-mass flywheel, as a result the engine is velvety smooth across the rev-band. On initial startup it can sound a bit rough – but who doesn’t need to clear their voice in the morning? After the block warms up and the car settles down to low idle, it becomes quite and constrained – the loudest noise is projected from the piezo injectors, just like on the 5, 6, 7 series and every other car that employs this pivotal technology. Once you are underway the engine remains smooth and quietly propels the car forward through all 8 gears. As far as I know the 6-speed manual is still an option, but I have no idea why anyone would order the Luxury line with a manual – the whole point of this car is to isolate you from the mechanical side of things and swoon you in a blanket of grace. Now would be a great time to mention the brilliance of the ZF sourced 8-speed automatic. 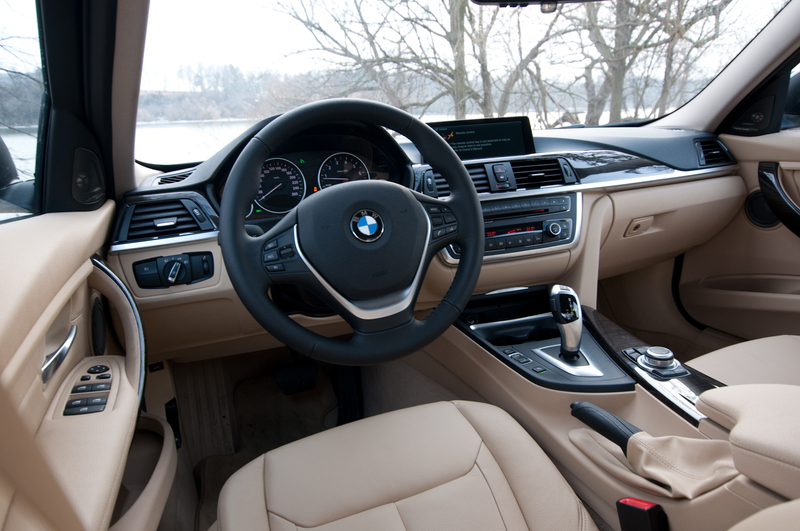 Shifts are incredibly quick and smooth, and because the car is shifting so frequently, it seldom revs high during normal driving – again lending to its relaxed demeanor on the road. From the exterior, the car errs on the side of classic looks, with tasteful slats and badges distinguishing it from the sport and modern lines. The car garnered a surprising amount of looks from passers-by and even a thumbs up, which I did not expect to receive in this car. It’s colour combo was one of my favorites: deep, rich navy blue on tan leather interior. Now: what if you predominately favor a comfortable, luxurious car, but you still have a wild side in you that craves the occasional back-road blast? Allow me to answer the suitability of the Luxury line to this hypothetical in the form of a true to life story. I was in the elevator going down to the parking garage of my condo building when a familiar neighbor jumped in. Heading down to the garage level, we made small talk and while approaching my parking space I made mention of the 328. “Wow” he exclaimed, “if I were you I’d be driving it all day” he offered, with very wide eyes hinting to his excitement. “Have you ever driven in a BMW?” I asked. “No,” came the answer. I like this particular neighbor more than most, so I offered a ride to fix his ignorance of the brand. It was high time for a round-about blast, around 7 pm on a Sunday. Normally I strictly obey all speed limits and leave the action for the racetrack, but in the interests of my neighbor gaining brand awareness, I let it rip. Even I was surprised by the performance the car served up in response. Admittedly, there was a lot of body roll and inputs were cushioned from responses, but nonetheless, if you know how to extract performance from this car, you can still extract serious performance. “Wahhh! My Cadillac could never hit these speeds through a corner! Ahhhh!” he blurted as we wound out the gears and hit the brakes heavily, merging onto the highway. Lesson learned, BMW aficionado gained. 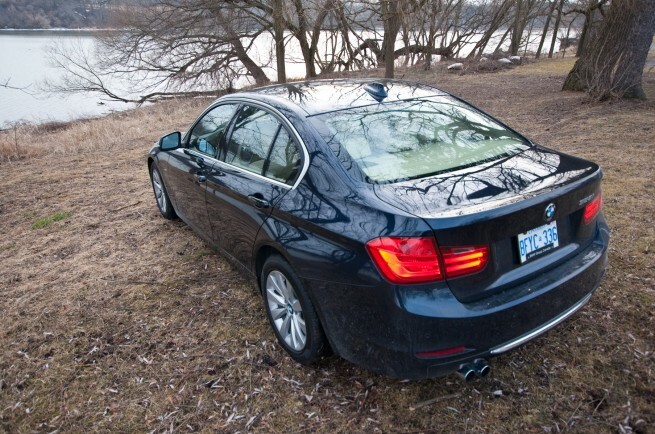 Bottom line: this car has an emphasis on luxury and comfort, but it’s still a BMW. If you ask it to, it will dance – and what a dance. No C class or Lexus could even come close, the jury is still out on the new Cadillac ATS – but then judging by the interior, the ATS is hardly a luxury car. The base price should hang around $36,000 USD, or $41,000 CAD. At this price point you are getting a lot of car for your money, and I would readily recommend the new 3 series to friends and family. 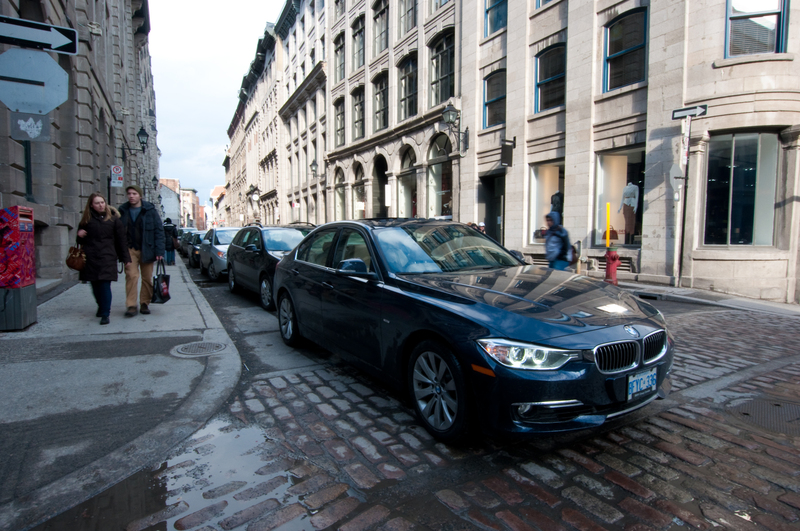 Of key importance, I would recommend the 328i Luxury line to older, more conservative friends and family. Thanks to BMW Canada for providing the 328i for testing purposes. 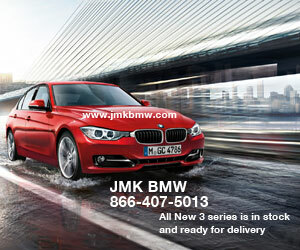 Special thanks to JMK BMW for their sponsorship of this car review. 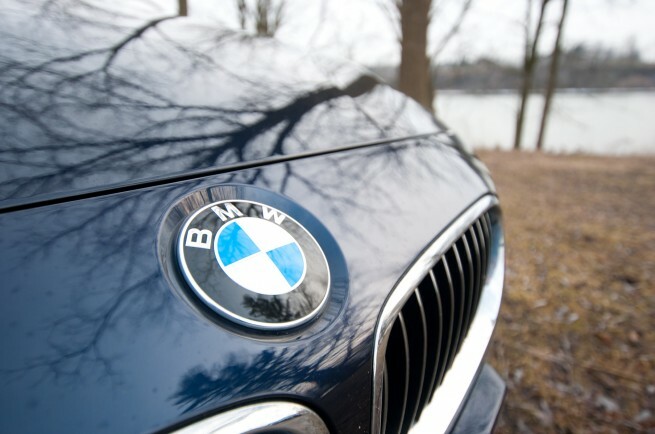 JMK BMW is the greater NJ area’s premier BMW dealership, located in Springfield, NJ on Route 22 E. To book your appointment with their relaxed sales team, click here. Hit the jump to leave a smile on their Facebook page.